Anyone who has motored through a major earth event will always look back and say something like, “If only I’d made more of an attempt to prepare.” This article will help those who decide to stay where they are when threatened by a major storm. Follow the links below for more tips. 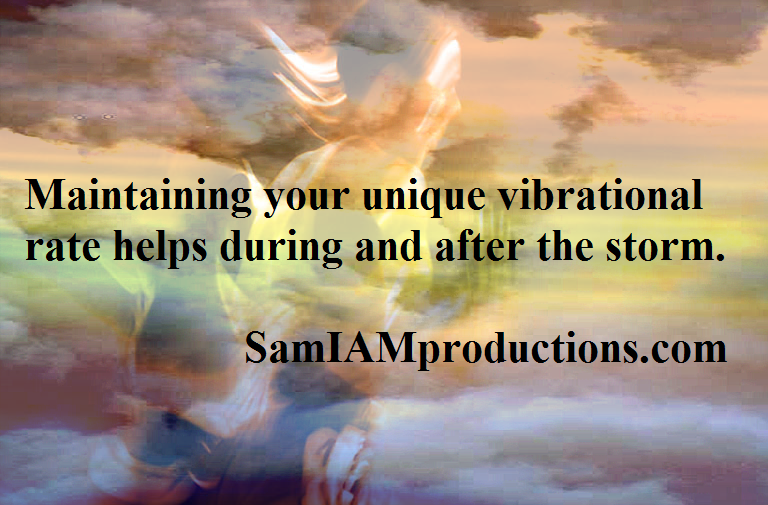 Let me preface these tips by noting, living in a 3-D world makes it imperative to tap into and follow your intuition. You will be guided before, during and after the event so it is up to you to stay clear of mind-altering substances and pay attention. First and foremost insure to the best of your ability that your building will withstand a major storm. Having a good roof, secure windows and protection for them, and a termite-free dwelling really helps you to stay safe. Remember, the area in which you reside (poor areas tend to get helped after rich ones), building (the more people in your building the more help or distraction you will encounter), neighbors (at least know who they are) and local government will all make a difference in your experience. If you are in a high rise and the power goes out be prepared to walk down and upstairs for an undetermined time. Things to have on hand are listed in detail in links below. This article will cover the things that I found very helpful during and after several category 3-5 hurricanes with limited flooding. Pack a bug-out bag that you can grab if you need to leave the dwelling immediately. Check the Internet for contents and follow your own guidance. Make sure your vehicle has a full tank of gas at least three days before the storm (lines will increase and gas shortages will occur). Store extra gas in approved containers if guided to do so because it can take days or even a week before gas arrives to stations, supplies of which will be depleted quickly. Cash is king when power goes out. Lights are especially important at night when the entire neighborhood has no electricity. Battery operated flashlights, a small under-the-counter light and tent fan with light is very helpful if you do not want lanterns that use gasoline or propane. If using candles, it’s best to avoid those with a scent. Power systems help to restore some of your electricity until crews can get to you. Generators are often used so be prepared for the noise. 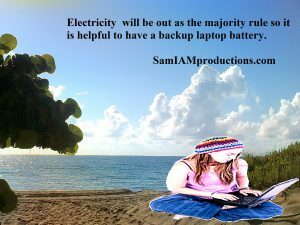 Another option is a quiet battery back-up system that will allow you to power small appliances, recharge cell phones and small electronics. Be prepared to go without electricity or cable for up to a month. A gas stove is ideal when the electricity goes out. Other options are propane stoves or grills. If you have a generator or back-up power system you can use small appliances such as hot plates to cook. Water is especially vital in hot climates. Make sure you have enough for at least a week. Adding Pink Himalayan salt to water helps to replenish minerals lost while sweating and makes freezing water faster. And if you add a piece of lemon to the water it will be more alkaline. Block ice is vital to save your food as long as possible. Pour out a bit of water from gallons and small bottles and freeze them days before the storm. You can also freeze soups to boost the length of freezer/refrigerator food. Tap water may become contaminated or there may be no running water so it is always a good ideal to store some in case you need it for cooking, brushing your teeth, etc. Having two small coolers, one for water and another for food decreases ice meltage. Lists of foods are in the links below. One thing I found helpful was to cook all frozen fish and other protein and then refreeze it. Dinners of spaghetti and chicken with noodles from the refrigerator were edible cold two days after the storm. Boiled eggs, bagels and cheese last longer than many perishable foods. If you bake potatoes and boil eggs before the storm, you can make potato salad after the storm. Be aware that the more dietary restrictions you have, the more challenging it will be to maintain your habits after the storm. Clear the outside area of any objects that may cause damage or harm. Consider changing your sheets, doing laundry and cleaning the house before the storm comes. 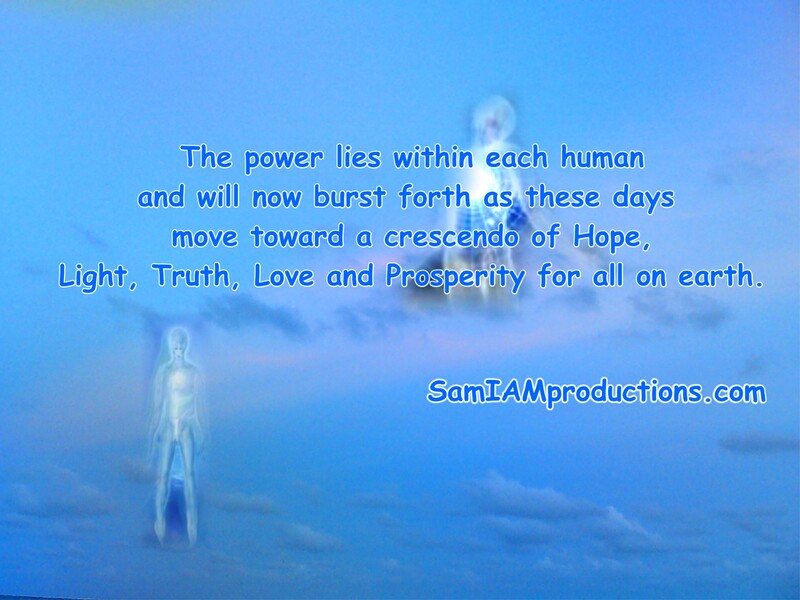 It is my personal knowledge that we are souls that chose our earthly experiences before birth into human form. And although we have free will to move though life there are still some experiences to face due to the soul’s choice. 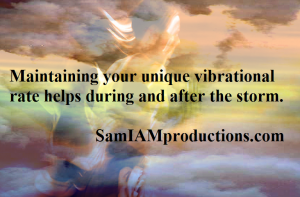 Maintaining your unique vibrational rate helps during and after the storm. Trust in the Universe to offer you the best possible experience as chosen by your soul but do your due diligence to keep safe and make the experience as less burdensome as possible. Remember the Law of Attraction and keep thoughts positive, sending out Light and Love as the storm rages. As Hurricane Irma ripped through the neighborhood, things whizzed around the house and trees fell, I went between merging with the storm adding Love/Light to it, watching a romantic comedy and reading the Book of One 🙂 for inspiration. Electricity will be out as the majority rule so it is helpful to have a backup laptop battery. Telephones are convenient but cell phone coverage is very iffy based on my experience. Even with three phones, all different carriers (Comcast Internet- goes out when the electric goes out; T-Mobil and Trac Wireless ), I had no reception for two days and limited reception for another three days. My neighbor, on the other hand, had phone coverage (Metro) throughout and after the storm with no interruption. Remember the Law of One and help those who need assistance if you can. Treat others as you wish to be treated and keep in mind that they may be dealing with more than just storm issues. If body heat becomes an issue, limit activity, remove shoes, wet your head and sit under a fan. You can also apply the small frozen bottles of water to overheated areas to cool down. Remember, there are some who take advantage of disasters and power outages. Neighborhood watches are helpful and it also helps to be friends with neighbors if security becomes an issue. Be prepared to deal with plenty of yard cleanup and garbage that may not be picked up for weeks.